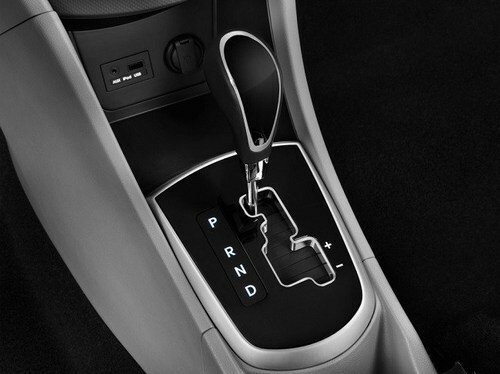 For some, driving an automatic car is more convenient when compared to driving a car with manual transmission. If you are looking for cars with automatic gear transmission in India you have landed on the right page. Priced at Rs. 5.36 – 8.50 lakh, Maruti Baleno is considered to be one of the best automatic gear cars in India. The manufacturer claims a mileage of 21.4kmpl for the Baleno. The car runs at a power of 83 bhp @ 6000 RPM and a torque of 115 Nm @ 4000 RPM. Maruti Suzuki Baleno Delta (AT) is the automatic variant offered by Maruti. Maruti Suzuki Dzire is priced between Rupees 5.56 – 9.43 lakh. Dzire is rightfully called the king of the compact sedan segment. This car comes in five automatic variants – Dzire AMT VXI, Dzire AMT ZXI, Dzire AMT VDI, Dzire AMT ZDI and Dzire AMT ZDI Plus. Various features like automatic LED projector headlamps, 15-inch two-tone alloy wheels, a leather-wrapped steering and a 7-inch touchscreen with Android Auto and Apple CarPlay are included in the third generation Dzire. The all-new Creta sports a new grille, new bi-functional headlamps and LED DRLs. The crossover is priced between Rs. 9.44 – 15.04 lakh rupees. The new generation Creta also sports a sunroof, a new 7-inch touchscreen infotainment system with Android Auto, Apple CarPlay, and MirrorLink technology. Both, petrol and diesel variants of Creta are available with automatic transmission mode. This hatchback is a bit light on the pocket as compared to other automatic cars in the list. Renault KWID is priced between Rs. 2.67 – 4.60 lakh. The latest generation of KWID features a reverse parking camera with integrated display in the infotainment screen and a rear center armrest. These added features do not come at an increased price. Renault offers two automatic variants of KWID. Hyundai offers only two automatic variants for their Elite i20 cars – CVT Magna Executive and CVT Asta. The Elite i20 is priced between 5.41 – 9.22 lakh rupees. Elite i20 cars are otherwise available in 14 variants and with 8 color options. These were some of the best automatic cars currently available in India. Is Buying Car Insurance Online A Good Option? Irrespective of the transmission type of your car, you should always cover the relevant risks with car insurance. Going the new-age way and buying car insurance online is indeed a good option. If you are looking for a quick and convenient purchase, this option is just for you.